All of my flying to date has been in tricycle gear airplanes. For some time, I’ve wanted to get my tail-wheel endorsement, but the opportunity just never presented itself. 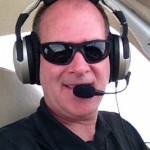 Recently on LancairTalk David Robinson posted a note about insurance discounts available with the completion of upset and recovery training offered by Elite Pilot Services, in cooperation with Advanced Flight Dynamics. Of course, given the cost of insuring our planes a discount sounded great, but more importantly for me was the opportunity to continue my training and get some tail-wheel time. 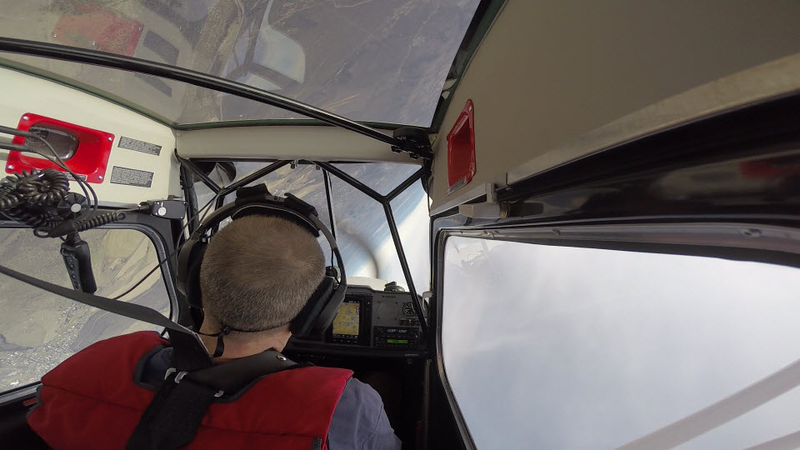 In early March, I traveled to Redmond and met Mike "Cuckoo" Kloch, Chief Instructor Pilot and Director of Safety at Advanced Flight Dynamics. Mike is a former Marine Corps F/A-18 pilot, combat veteran and formally trained Aviation Safety Officer (Naval Postgraduate School). In addition to his CFI/CFII/MEI ratings, Mike holds commercial and instrument ratings for helicopter (with NVG qualification) and is an FAA Safety Team (FAAST) Representative. Mike has a B.S. from Oregon State University and two A.A.S. aviation degrees from Central Oregon Community College. Needless to say, a qualified instructor. The upset and recovery training is nine hours of ground school and five flights in an ACA Xtreme Decathlon, an excellent, “easy-to- fly” aerobatic airplane. This particular Decathlon has 210 horsepower and a shortened wingspan for a higher roll rate than earlier model Decathlons. We did the entire ground school during the first day. It was a great review of aerodynamics with a much deeper discussion and analysis than I have had before of the forces and stresses on the airplane. Mike did a nice job of taking the basic concepts we all learned during initial training to the next level. We reviewed in detail the various types of stalls and spins, the factors which lead to stalls and stall avoidance. We role played scenarios which may lead to loss of control incidents, how to recognize the early signs, how to prevent them and (in theory) how to recover from them. After a day in the classroom and a good night’s sleep I was ready to go flying and try out what I’d learned. Mike warned me my stomach may be less willing than my mind. Off we went. I found taxing and take-off pretty straight-forward for my first experience in a tail-wheel plane, although admittedly Mike did the hard work of landing (with me following along!). We began by controlling yaw in rolls and cross controlling to draw boxes in the sky with the airplane’s nose. We moved on to positive and negative g loading, and then various types of stalls and very steep turn and rolls. One thing I learned was to limit directional control inputs to one axis at a time. I also learned the natural response to first level the wings is wrong; Mike taught that unloading the g-forces on the wings is the correct first step. Push forward on the yoke and maintain the current bank angle (this will unload the g-force on the wings). Then - or simultaneously - add or reduce power depending on the pitch attitude. If nose high, allow the nose to fall to the horizon, then level the wings, or if nose low, level the wings, then gently pitch up to stop the descent - adding power after the descent is stopped. PUSH, POWER, RUDDER and ROLL, PITCH are the steps to almost all unusual attitude recovery situations. (Spins are an exception: for spins PARE is the usual recovery – POWER, AILERONS, RUDDER, ELEVATOR). Needless to say, I found applying these principles easier said than done, especially when you add the “startle” factor – suddenly being put in an unusual attitude. But, of course, that’s what the training is all about. Once we got through the basics we begin to put it together in recoveries from nose high and nose low attitudes with over 90 degrees of bank and in a roll. We also practiced steep descents to a target using control movements one axis at a time. After two days, the weather moved in and we had to postpone completing the training for another day. That was fine since my stomach was saying it had just about as much as it was willing to take for now! I look forward to completing the training with Mike in the near future. Returning home – smooth level flight with a beautiful sunset. This is the way I like to fly – doing everything I can to avoid an unusual attitude! However, I now feel a bit more confident in avoiding loss of control situations, and if I ever get into an unusual attitude from unexpected turbulence or mishandling I'll have a much better understanding of and more confidence in how to recover. For question/comments on this post contact Steven via email at s.bradford [at] lancairowners.com.